Cut onions into 1/4- to 1/2-inch slices and then separate into rings. Combine onion rings and buttermilk in a large bowl. Combine flour, cornmeal, chili powder, cumin and salt in a medium bowl. Remove a few of the onion rings from the buttermilk and add to the bowl containing flour mixture; toss to coat. 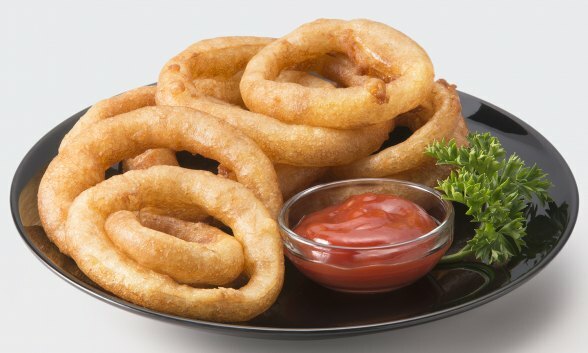 Fry onion rings until golden brown and crispy, about 1 1/2 to 2 minutes. Drain on paper towels. Serve warm.